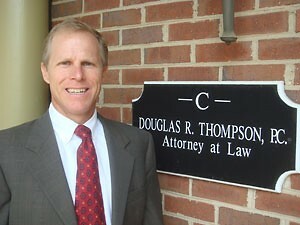 Doug Thompson announces that he's in it to win it for District Three Dunwoody representative. It is with great excitement and with the support of my family, friends, neighbors and colleagues that I announce my candidacy for the local District 3 City Council post with the City of Dunwoody. Tom Taylor has done a wonderful job in this position before stepping down to run for State office and has agreed to endorse my candidacy. I will shortly begin the process of fund raising and campaigning. Having run for this position in the inaugural election, I am well aware of the financial and time commitment required. I look forward to your support and the opportunity to serve the citizens of Dunwoody. Dunwoody –April 30, 2010 – The City of Dunwoody will hold a Special Election on Tuesday, July 20, 2010 to elect a representative to fill the vacant Council seat for District 3, Post 3. The qualifications to run for office include: candidate must be a resident of the City of Dunwoody for a continuous period of at least 12 months immediately prior to the date of the election; candidate must continue to reside in the City of Dunwoody during their period of service; candidate must continue to be registered and qualified to vote in the municipal elections of the City of Dunwoody. In addition, no person will be eligible to serve as a council member representing a council district unless that person has been a resident of the district they seek to represent for a continuous period of at least six months immediately prior to the date of the election and continues to reside in their district during their period of service. The last day for voter registration in the 2010 Special Election and, if necessary, Runoff Election, is Monday, June 21, 2010. Registration forms are available at Dunwoody City Hall, 41 Perimeter Center East, Suite 250, Dunwoody, Georgia 30346, through the Chief Registrar of DeKalb County, Georgia or through the Georgia Secretary of State website: www.sos.georgia.gov/elections. The polls will open for the July 20, 2010 Special Election at 7:00 a.m. and will close at 7:00 p.m. at your designated voter precinct. If no candidate receives a majority vote, then a runoff election will be held on Tuesday, August 17, 2010 at the same precinct locations. Voters will be allowed to vote by absentee ballot by making application for an absentee ballot; reasons for voting absentee are not required. The application must be in writing using the application form provided by the State or by written request and may be made in person, by mail, or by fax. The form can be found at: www.sos.georgia.gov/elections. Advanced/early voting begins on Monday, July 12, 2010 at 8:00 a.m. and closes on Friday, July 16, 2010 at 5:00 p.m. at the DeKalb County Voter Registration and Elections Office, 4380 Memorial Drive, Suite 300, Decatur, GA 30032. For questions or for more information please contact Sharon Lowery, City Clerk, at 678-382-6711 or Sharon.lowery@dunwoodyga.gov. Dunwoody will hold a special election July 20 to replace Tom Taylor, who resigned to run for the state House. City Clerk Sharon Lowery said qualifying will be May 10-14 at city hall. Only voters in District 3 will cast ballots. Mayor Ken Wright said the city council considered delaying the election until Sept. 21 or Nov. 2. "The overall consensus was to not leave the seat vacant that long," Wright said. Lowery said the DeKalb elections office won't charge the city much because the election will be held in conjunction with the General Primary. Numerous legislative seats will be voted on that day. Dunwoody – April 30, 2010 – On Monday, April 26, Tom Taylor, Councilman for the City of Dunwoody, announced his qualification for the Georgia House of representatives District 79 House Seat previously held by Representative Fran Millar. Today, Taylor announced he has vacated his District 3 City Council seat. Dunwoody City Council Seat may be available. Are you interested in serving or know someone who would be a great Dunwoody representative? Monday night I missed my first Dunwoody City Council meeting since being sworn in because of a week long business trip and unfortunately that also meant I missed Thursday night's special called meeting whereby the Mayor added a last minute agenda item to discuss a Special Called Election to fill a vacancy. Though I missed the meeting, Rick Callihan attended and you can read his recap here. The need of a Special Election is being proposed because Dunwoody Councilman Tom Taylor "qualified" to run for the State Legislature on Monday to fill Fran Millar's vacant Georgia house seat and it appears that the Georgia State Constitution, shown below, states that Taylor's Dunwoody City Council seat is now vacant and that a City election should now be held. Councilman Taylor states that the Dunwoody Charter is not in agreement with State Law and that he is obtaining an outside legal opinion and will be stepping down if is the proper thing to do. "The office of any state, county, or municipal elected official shall be declared vacant upon such elected official qualifying, in a general primary or general election, or special primary or special election, for another state, county, or municipal elective office or qualifying for the House of Representatives or the Senate of the United States if the term of the office for which such official is qualifying for begins more than 30 days prior to the expiration of such official's present term of office. The vacancy created in any such office shall be filled as provided by this Constitution or any general or local law. This provision shall not apply to any elected official seeking or holding more than one elective office when the holding of such offices simultaneously is specifically authorized by law." Waiting on the formal resignation of Councilman Taylor and/or a decision of the City Clerk, Ms. Sharon Lowery to announce the seat vacant based on the legal interpretation of the City Law Department; the residents of District 3 who live on the East Side of Dunwoody should be aware that the City of Dunwoody may be looking for a candidate to step forward to serve as the local representative. If an election is to be held to replace Councilman Taylor, only the residents of District 3 will be voting in this special election in order to elect the local district representative who also lives in the same district. City Hall has been aware of this situation since last Monday night and I am sure they could pull off the July 20th election with a qualification period happening the week of May 10th. This weeks two council meetings were both held with the minimum quorum of only four members, therefore I am in favor of an election as soon as possible in order to assure that future city meetings are not negatively affected by a lack of quorum. 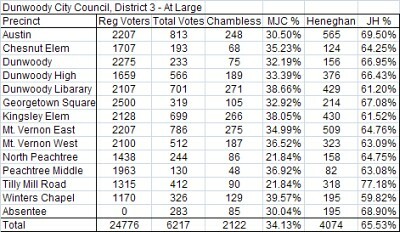 I am also aware that our City Charter does not allow a tie breaking mechanism therefore a three / three tie among the reduced six city council members could easily hamper the movement of city business. If our Dunwoody City Election were held on July 20th, the date of the general election primary and there were three evenly supported candidates causing a runoff because no candidate received 51% of the vote, then I believe the runoff would move to the November general election date. If we wait until November to hold our election, there is a possibility that a runoff election if needed wouldn't occur until January 2011 and I don't think we can wait that long. 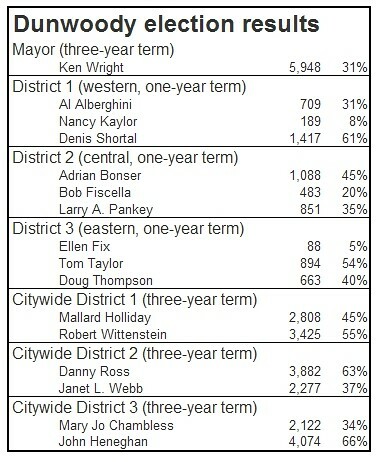 2008 Election Citywide breakdown by precinct for my at-large post. 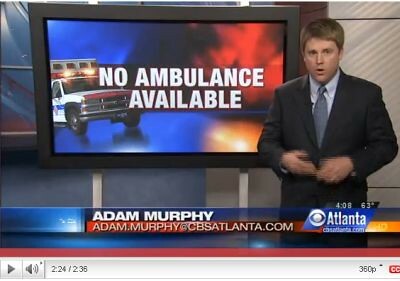 No Ambulance Available in Dunwoody? Agenda - note agenda originally misprinted as a work session has been corrected. PUBLIC HEARING: Proposed text amendments to Chapter 21, Signs, and Chapter 27, Zoning, Article III, Overlay District Regulations, §3C-13, Sign Regulations. The police departments in Sandy Springs, Dunwoody and Johns Creek have contributed money, manpower and equipment to form the new North Metro SWAT team. The North Metro SWAT team's primary response will be to answer calls in the three cities. 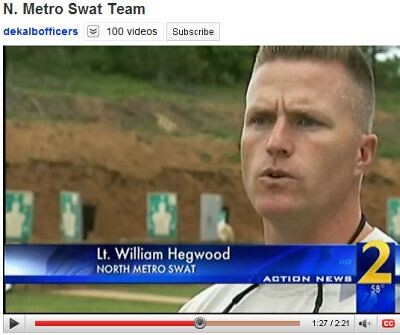 Team leader William Hegwood with the Dunwoody Police Department tells Channel 2 Action News "hopefully we're never called, but when we're called, we're ready and prepared to handle whatever situations we can." Each police department contributes $45,000 a year to help fund the SWAT team. Will the Dunwoody schools be able to operate enmass as a Charter School System? SB 457: Empowers a high school cluster to petition the local board of education to become a conversion charter. Requires a 60% favorable vote by parents and faculty in all the schools in the cluster and approval by the local school councils. Kudos to Dan Weber and Fran Millar who both pushed this legislation and it appears to be very close to being on the Governors desk for signature. Dunwoody's Legislative seats up for changes with Senator Dan Weber possibly deciding not to run. Today was the first day of qualifying for the Georgia State Legislature with candidates stepping forward to throw their hats into the ring. 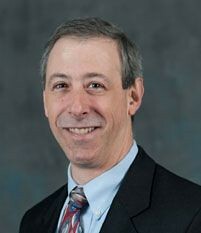 By all accounts it appears that State Senator Dan Weber (R-40) who serves the Dunwoody, Chamblee, Doraville & Tucker areas will not be returning to the Senate since he has not yet registered and House Representative Fran Millar has already qualified to replace Mr. Weber in the Senate, instead of re-running for the District 79 House seat that he currently holds. Registration closes Friday therefore anything could happen between now and then but the candidates currently registered for Dunwoody seats are as follows. Dunwoody Soap Box Derby is looking for drivers and sponsors. The Dunwoody Soap Box Derby race directors have been tweaking last year's event and have made a number of changes - including moving the track and putting up tents so spectators will be able to be in the shade, kids's activities, food vendors, etc., etc., so they're looking for even more drivers and spectators this year. The Derby is open to both boys and girls from ages 8-17. They'll be racing two classes of cars again this year: stock and superstock. There's still time for kids to register and obtain cars. Complete Derby information and applications can be obtained by going to our website: dunwoodysoapboxderby.org. They're doing car clinics every Saturday morning from now until the race, which is scheduled for June 5, to help kids and their parents build their cars to gain optimal results. They'll have folks on hand to give pointers and tips as well as offer building assistance wherever possible. All clinics will be held at the KofC Hall at All Saints Catholic Church from 10 AM - 2 PM. It's important that they/their parents attend the clinics to get complete information. Kids need not have their cars with them in order to attend, but should be looking to order kits ASAP. 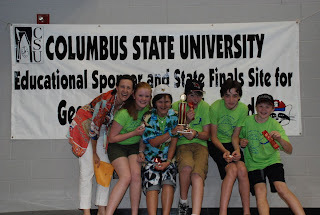 Help the Odyssey of the Mind, Middle School team raise money for a trip to Michigan State. The Dunwoody Homeowners Assocation-sponsored Odyssey of the Mind Middle School team took second place in its division at the State Competition this month. As a result, they will compete in the World Finals at Michigan State University May 25-29. 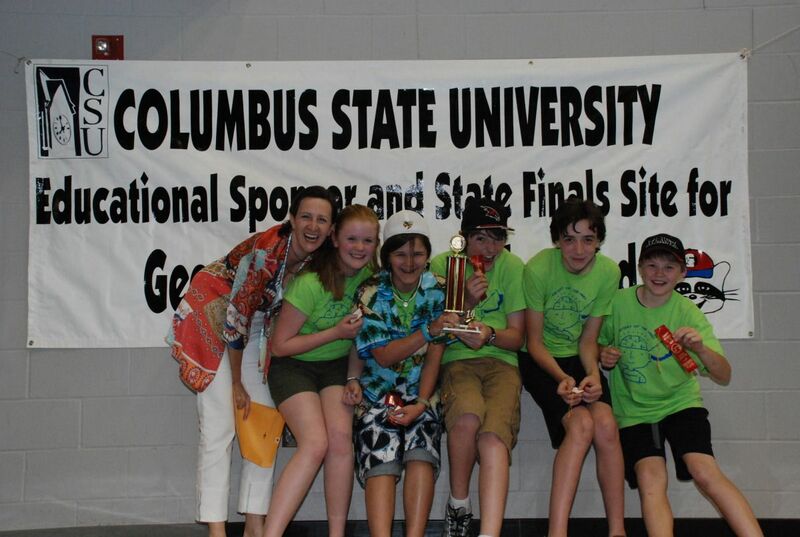 The team is coached by Karen Bass, who was inducted into the Georgia Odyssey of the Mind Coaches Hall of Fame at the state tournament. Team members are Will Bass, Sofia Gonzalo, Jack Jarrell, Jennifer Kiser, Kendall Lowrey, Anna Grace Nall, and Max Noto. The costs for the 5-day World Finals tournament is $6,300 for the team members and coach. Parent chaperones will cost an additional $3,000. The team has several fundraising events scheduled. We hope to cover the team/coach costs and a portion of the chaperone costs. We would appreciate your support! Individual donations can be sent to Pat Noto, 1409 Holly Bank Circle, Dunwoody, GA 30338 (phone 770-522-9147). Checks should be made out to Pat Noto, with OotM on the description line. Dunwoodyschooldaze - a new blog dedicated to Dunwoody Schools. "Dunwoody Mom" has been a regular commenter and participant on both this and the DeKalb County School Watch Blog and today I would like to point the entire Dunwoody community over to her new blog dedicated to Dunwoody's Schools. As she states, "My hope is that this blog will turn into a gathering place for information concerning our Dunwoody schools. Our community is blessed in that we have some wonderful schools with caring, giving administrators and teachers. This is a place also to share our stories - good and bad, happy and sad." Since no one person could know what is happening in all of our schools, I would like to ask community parents involved in various aspects of Dunwoody's fine schools to please regularly feed Dunwoody Mom with information to post. If the postings get to be too much for one person, Dunwoody Mom could grant posting permissions to trusted representatives of the various schools. The Dunwoody schools are an important part of what makes the Dunwoody community so special and if we together can promote, participate and celebrate in their successes then we as a community all are benefited. Voting Meeting at 7:00 p.m.
Work Session Agenda - 6 p.m. Discussion of Georgetown Master Plan. Contract amendment for Lowe Engineers - Parks. Review of April 26, 2010 City Council Meeting agenda. Voting Meeting Agenda - 7 p.m.
Minutes from the March 8, 2010 City Council Work Session Meeting. Minutes from the March 22, 2010 City Council Work Session Meeting. Minutes from the March 22, 2010 City Council Meeting. Amend Chapter 7, Building Code, to add inspections of multifamily rental housing. Amend Chapter 15, Business Occupation Tax, Licenses and Regulation, by adding a requirement for multifamily rental housing occupation tax certificate applicants. Multi-Family Code Compliance and Inspections Policy. Master Plan contract award - Dunwoody Village and Georgetown. Approval of Sidewalk Improvement Policy and possible revised list based on school need. Resolution to adopt Green Buildings Policy. Resolution to adopt No Net Loss of Trees Policy. Resolution to adopt LED Traffic Signals Policy. 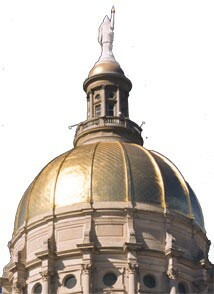 Ordinance to amend Fiscal Year 2010 Budget to fund Economic Development study. Resolution Naming the NW Access Road for Peachtree Industrial Boulevard. Presentation of Citizens Police Academy Graduates. Resolution to adopt Community Incentives for Green Building Policy. Ordinance to amend Chapter 16 Offenses and Violations re: Noise. Contract amendment for Lowe Engineers – Parks. Executive Session - for the purposes of legal, real estate, and personnel discussions. 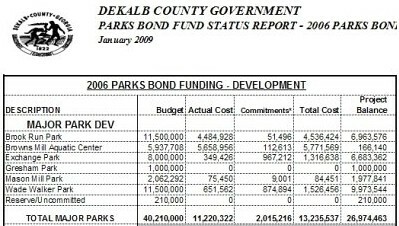 State Legislation - DeKalb parks pass to Dunwoody along with $7 million dollars in bond proceeds. 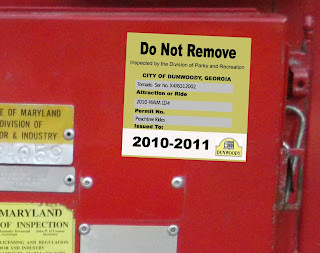 Today was a great day for the City of Dunwoody. House Bill 203 moves to the Governor's desk. Today legislation passed on both the Senate and House floors of the Georgia Legislature transferring parks from DeKalb to Dunwoody for a nominal price along with the $7 million dollars the County promised during the last parks bond referendum. I was home from work today attempting to get over a stomach bug so I was able to watch the live stream of Dan Weber from the Senate floor convincing fellow legislatures that HB 203 was the right and just decision on the transfer of property since the citizens of Dunwoody have paid for these parks with their taxes for many years. I was able to see Rep. Mike Jacobs bring that same piece of legislation back to the House floor for the final passage of the amendments which were made to the original bill. A short break was called then about 5 minutes later as I was listening to the chit chat on the podium I was able to hear the call for reconsideration live on the web via an open microphone. Knowing that this was unexpected during a break when many of the representatives had left the floor, I quickly called our City Attorney, Brian Anderson and Councilman Tom Taylor who have been working diligently at the Capital to push this legislation. Luckily they were able to round up representatives like our good friend from Sandy Springs, Representative Wendell Willard to assure we had the votes in the room when the reconsideration happened. When the reconsideration for the last vote was finally proposed by Rep. Howard Mosby, the arguments made against the measure were firmly struck down by the level headed Representative from Dunwoody, Mr. Fran Millar. Kudos to all involved, including Mayor Wright, our City Manager, Warren Hutmacher, members of Council and especially Councilman Tom Taylor who has very effectively served behind the scenes as Dunwoody's legislative point person for a number of years bringing us to where we are today. Thank you. On to the Governor's desk... or would a signing ceremony at Brook Run Park be more appropriate? I don't usually use my monthly e-mail to distribute news flashes, but today I'm going to make an exception. Today the Georgia House and the Georgia Senate passed identical bills establishing the conditions under which we can purchase the parks located in Dunwoody from DeKalb County. The price is $100 per acre which is a token sum that fully recognizes all the years of taxes paid by Dunwoody residents for parks acquisition and capital improvements. The ownership of the parks properties will transfer to the city on the signature of the Governor. 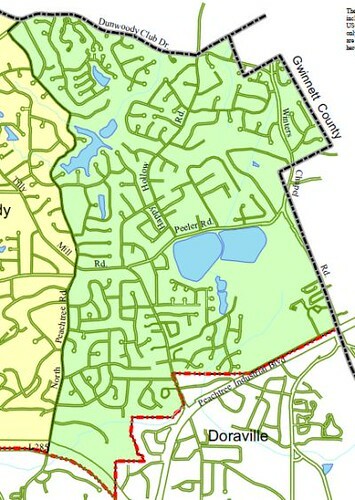 Included in the arrangement are Brook Run, The Dunwoody Nature Center, The Spruill Center for the Arts/North DeKalb Cultural Arts Center, the Donaldson-Chesnut farm at Chamblee-Dunwoody and Vermack, the two baseball fields at Dunwoody Park (Dunwoody Senior Baseball's home) and a number of other smaller properties. We will also assume ownership of the land the fire stations and DeKalb Police precinct sit on and will lease those properties back to the county for a token amount. The bill passed by the legislature also has provisions that should ensure that the bond money earmarked for Brook Run will be spent at Brook Run. We will probably have to go through a court process with the county before payment, but we should eventually get $6-7 million for capital improvements at Brook Run. This is a huge victory for the city. I firmly believe that a city cannot thrive while its parks languish. It is also a major responsibility. We must now work to reverse years of neglect and underfunding. As with the roads, we will want to do more than will be practical in one or two years. A revised master plan for Brook Run that provides lots of opportunity for community input should be high on our to-do list. A lot of people worked very hard to ensure this outcome. We owe Senator Dan Weber and Representative Fran Millar a tremendous thank you for their efforts. The city staff, the mayor and the members of the city council all played important roles but it would be negligent not to single out Councilman Tom Taylor for the hundreds of hours he put into this effort as our legislative point-person. This is truly cause for celebration. Congratulations Dunwoody! The flier below is for an Open House on Sunday afternoon at 2pm located at the old TGI Friday's building. With your help the opening of El Reventon was denied at the same location on January 26, 2010. There was an open house two weeks ago where the owner advised those present that his desires were to open a "24 hour dine, dance, entertainment" and was requesting pouring hours after 12:30pm. It is imperative that we meet on Sunday and show the owner our opposition to his business proposal. We, Doraville, Dunwoody, Unincorporated DeKalb want a Family oriented shopping center where we all can enjoy and be proud of. Please join me on Sunday, April 25 2pm and inform all of your neighbors and friends to attend. The Valley restaurant and lounge is holding an open house from 2:00 P.M. until 3:00 P.M on Sunday April 25th, 2010 in order to discuss the application for a Special Land Use Permit in order to open and operate a restaurant and lounge at 6331 Peachtree Industrial Blvd., Doraville, Georgia 30360. We are inviting all surrounding residents in order to discuss any concerns or issues that they might have with the opening of this business. The owner, Sampson B. Monger and his attorney, Christopher Taylor will be present to address any concerns. Legislature proposes transfer of parks to Dunwoody along with all bond proceeds. There are currently several bills in the Georgia Legislature (SB 58 as amended & HB 203) which are on parallel tracks, tied together proposing a transfer of park property from DeKalb County, who can not legally operate a park within city limits, to the City of Dunwoody, at a purchase price of $100 per acre. These bills also schedule a future transfer of fire stations located in the City (if so needed) at a transfer rate of $5,000 per station. An amended Senate Bill 58 passed out of committee Monday afternoon by an 8 to 4 vote and looks to be headed to the House for a final determination. House Bill 203 has much of the same language as SB 58 approved in committee but it allows development authorities to bond without a referendum. HB 203 also passed out of committee last week and should be headed to the Senate for a final determination in the last three days of the session. Both bills state that bond proceeds from prior bond referendums must be paid as the issuer intended therefore by my calculation and by DeKalb County's own records, Brook Run Park was promised $11.5 million dollars and it is still owed about $7 million. Dunwoody residents have been paying for these parks for years and the transfer price of $100 per acre was based on the same solution that Sandy Springs paid to Fulton to transfer their properties. The only major difference once Dunwoody takes over the operation is that the City of Dunwoody will be responsible for all up keep and maintenance of park facilities; as well as staffing on going endeavors like the Brook Run Skate Park. Since the City of Dunwoody will also be paying for the 2006 Parks Bond referendum for many years to come, the funding promised to the park should rightfully remain with in the community who will be paying those taxes. If these two bills pass and the park property is transferred to the City of Dunwoody, I along with the Mayor and City Council, look forward to taking quick action on making basic improvements that have been lacking such as proper building security, increased park benches, a complete safety audit and repaired water fountains. After that I will be looking forward to holding public meetings to see what the community would like to do with its parks system; since I don't think an aviary is going to cut it. Come join us and support wonderful local artisans at the Dunwoody Divas Shopping Extravaganza 2010! Monogramming and embroidery - both things you bring us and things we sell. Your local source for personalized gifts. Easy to prepare gourmet foods that are perfect for easy entertaining, quick healthy meals, and gifts for all occassions. Felted flower headbands and skirts embellished with felted flower brooches. Hand painted and personalized platters for babies, births, graduation, wedding, confirmation, 1st holy communion, bar/bat mitzvah, etc. Wine toppers, frames and keychains. A variety of handmade natural soaps, 5 body lotions, and several facial creams. These products are sold individually or packaged in gift baskets. Personalized stationery and inspirational greeting cards. Handcrafted beaded jewlery including necklaces, bracelets and earrings from petite seed beads to the chunky stones -- something for everyone! For all your sewing needs: original designs, custom sewing for your wardrobe or home, alterations, and our new offering - upholstery. A lifestyle brand that specializes in celebrating motherhood. As seen on Oprah with Cindy Crawford calling us one of her favorite things to wear and Stacy London on The Today Show calling us "what stylish moms wear". Delicious hand-poured jams and jellies. Vintage silk sari skirts, handblown glass bottle stoppers, and recycled handbags. Creative and artistic items from magnets and mugs to handpainted windows and prints. "Art for your Hips", these crystal buckles are must haves for all trend-setting Divas! fine, hand-knit baby hats, sure to please both mom and child! Folk art, purses, and pillows with a yarny twist. Everyday basics that feel like luxury. Recent Dunwoody items that crossed my desk. House committee to consider Dunwoody parks bill - Anything could happen with the legislature in session? 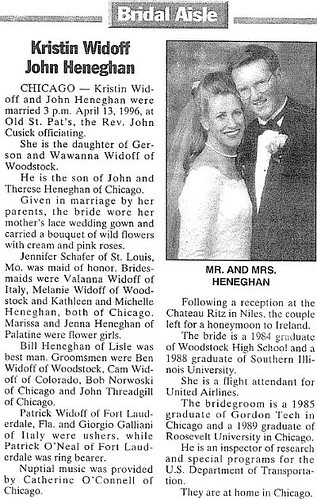 Thank you Lynn & Mellie for serving - Tough job - you represented us well. Thank you Stacey & Tom - Stepping into big shoes. Planning Commission to vote Tuesday on Comprehensive Plan. Schools to be More Crowded Next School Year, 293 Kids in Trailers Next Year at Vanderlyn. Comprehensive Transportation Plan - has been rebid. 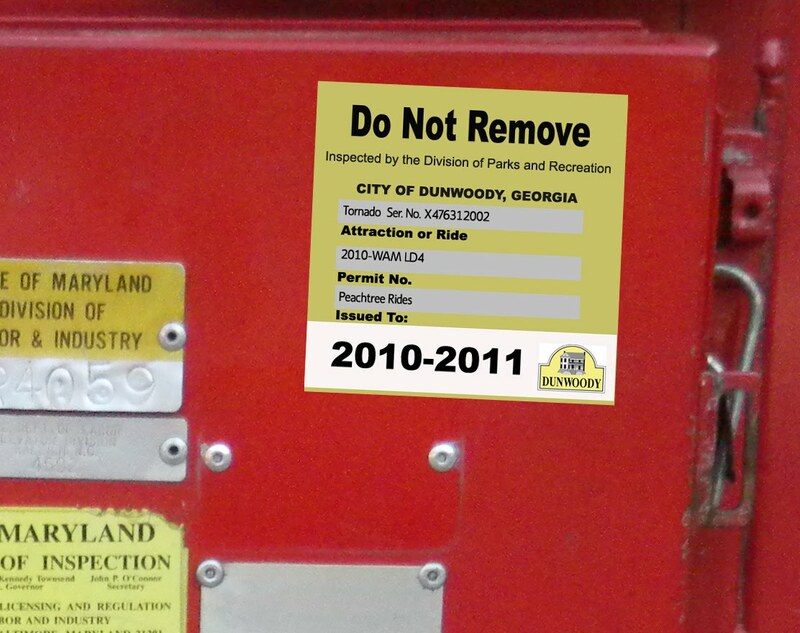 An ode to our fine City of Dunwoody - new blogger giving his opinions of Dunwoody Council. Dunwoody Celebrates Georgia Cities Week with tours & blood drive. This blog post was written and photos were taken by Rick Callihan and I will admit that I shamelessly copied it in order to plug a major community event. If you don't follow Rick, I encourage you do so since he puts a nice spin on events happening in the community. Had a great family night tonight over at DeKalb County's Brook Run Park, site host of the annual Lemonade Days festival. If you have kids from age 5-15, I'd say the $15 ride bracelet (after using the $5 off coupon) is a real deal. I suggest you buy the bracelet instead of individual tickets. There's no way you can take a kid there, ride only four or five rides, then leave. The bracelet (with coupon) is the way to go. If you kid is six or older then the parents really don't need to go on the rides. With tonight being the opening night, and most kids required to go to school tomorrow, attendance was the lowest of the four day event. A perfect night for no lines. I'm sure the wait for rides will be tolerable all weekend, and the weather seems to be cooperating, so I recommend you head over. Lots of good food selections as well. Hard to pass on a funnel cake. I opted for a Varsity chili dog, while some in my group ate some chicken fingers from Guthries. The food vendors are both local and part of the amusement company. The whole carnival scene takes me back to my years growing up in PA. I left home for a while (from age 9 until 11) and traveled up and down the east coast as a Carny. It was quite enlightening. 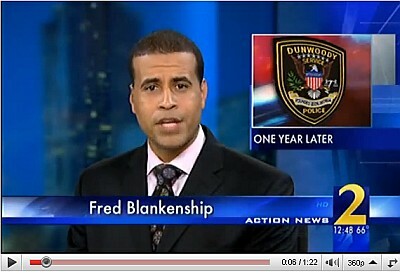 Eventually I escaped returned home to lead a normal life, ending up here in Dunwoody years later. A favorite thing of mine is the old-time style art work on the sides of the carnival rides. The event organizers thought ahead and had special areas for dropping off plastic bottles. There was also PLENTY of WATER available for the carnival booths and their RVs. Not sure who was in charge of printing and hanging the Sponsor signs, but they did a nice job as well. The fastest ride on site is the Himalaya. The Spyder was quick as well. Bumper cars and the Ferris Wheel are classics. As the sun went down, so did the temperature. The bright lights of the Carny booths filled the night with excitement. Being a former Carny (I worked the dart throwing booth, awarding skilled throwers their choice of a Styx mirror or a Coke bottle filled with colored sand or a dark-light poster with a mushroom on it) I avoid the games of chance. Although I was tempted to win my wife a Teddy Bear at the basketball game, I resisted. The kids will nag you to play the games (and the game operators will try to lure you in) but stay strong and stick to the rides and food. Here a couple of photos, one with a FarmHouser doing last-minute sign work. The park was very clean and all in attendance were well behaved. I was told the dunk tank will be open on Saturday this year, instead of Sunday. See the list below for the folks scheduled to be in the tank. Expect long waits to throw when some of these folks are in there. When not doing other scheduled events (soccer & Beck Bash) this weekend, my family and I will be attending Lemonade Days several times through the weekend. Check out the official festival website for more details and I also recommend following the event on Twitter @LemonadeDays for last minute updates and because if memory serves me right, I scored free ride wristbands that were being offered via a contest on there last year. Again?? 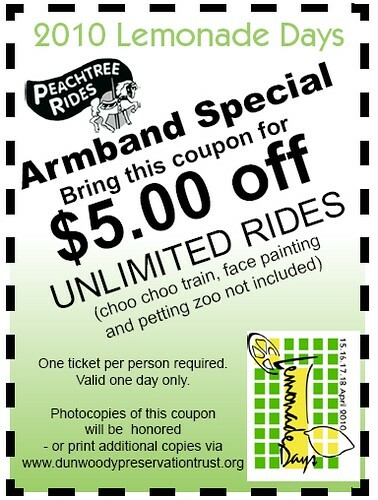 Also sign up for the Bike Ride Around Dunwoody early and save $5 per rider and if you want true entertainment value get a wrist band for the kids for Thursday since it is the lightest night and there are little or no lines. I think I had one son and his friends who rode the bumper cars for an hour straight last year. What's not to like about that if your 10 years old? 5:00 PM - 10:00 PM - Rides, Games & Concessions - Come out and join us on the first night of Amusement Park Rides, Inflatables, Midway Games & yummy treats! 5:00 PM - 11:00 PM - Rides, Games & Concessions - Come out and enjoy Amusement Park Rides, Inflatable, Midway Games & Concessions at Brook Run Park! 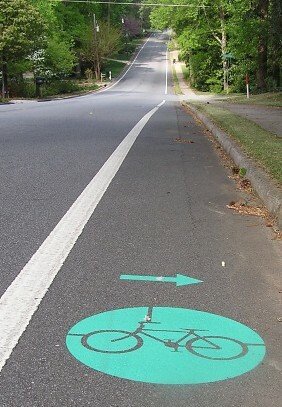 9:00 AM - 10:00 AM - Bicycle Ride Around Dunwoody (BRAD) - Register for the 2010 Brad on our website. 10:00 AM - 11:00 PM - Rides, Games & Concessions - Amusement Park Rides, Inflatables, Midway Games, Concessions and SO MUCH MORE! 10:00 AM - 8:00 PM - Craft Fair - Presented by the Dunwoody Arts and Crafts Guild, the annual craft fair will feature works of artisans from across the Southeast. 12:00 PM - 1:00 PM - Skate Park Exhibition - Come out and watch exhibitions at the skate park! 1:00 PM - 4:00 PM - Petting Zoo - Let your kids see all kinds of animals at the Petting Zoo! 11:00 AM - 6:00 PM - Craft Fair - Presented by the Dunwoody Arts and Crafts Guild, the annual craft fair will feature works of artisans from across the Southeast. 12:00 PM - 6:00 PM - Rides, Games & Concessions - Enjoy the last day of Amusement Park Rides, Inflatables, Games & Concessions! 12:00 PM - 6:00 PM - Face Painting - Let your child experience the fun of face paint! 1:00 PM - 4:00 PM - Petting Zoo - Final day for the Petting Zoo! 4:00 PM - 5:00 PM - Skate Park Exhibition - Come out and watch exhibitions at the skate park! Happy Tails, therapy dogs - a “promise honored” has become a life’s commitment. I have never heard of therapy dogs until I picked up today's Dunwoody Crier and read the touching story written by Carol Niemi on Dave & Stephanie Frew. When I saw the tv piece, I thought I would share not only the video but a link to the Happy Tails organization. My family and I will be spending quite a bit of time at Brook Run park this weekend but Friday evening we will be walking down the block and across the street to Kingswood Church to support and honor a fine Dunwoody resident and teacher of our children, Ms. Jeanette Beck. Please think about joining me there. 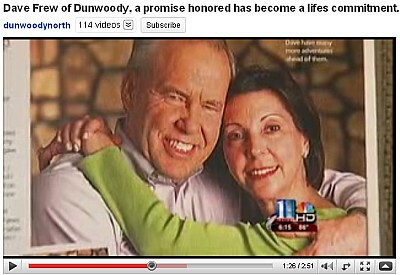 From the Dunwoody Crier - It Takes a Dunwoody. If there’s one thing this community is good at (and there are many), it’s opening its heart for neighbors in need. Many members of the community are familiar with the Jeanette Beck-DeBlasi, her husband Iggy, and three children — 20-year-old twins and teenage son — who have been contributing members of Dunwoody for many years. Jeanette, a teacher at Dunwoody Elementary and a formerly of Chesnut Elementary Charter, and her family have been at the heart of many groups and organizations and are always front and center when it comes to participation and volunteerism. Some very difficult financial years have been magnified with Jeanette’s recent diagnosis of breast cancer. The onslaught of chemotherapy and radiation treatments have already filled all her vacation days and sick leave from school, thus leaving yet another strain on their family income. The bright side to all this? A lot of friends, neighbors and family who love the Beck-DeBlasi family are coming to their aid with a fund raising spaghetti dinner. The whole community is invited for this $5-per plate “Beck Bash” dinner scheduled at Kingswood United Methodist Church on Friday, April 16 from 6 to 8 p.m.
A quick trip to crimereports.com is all it takes for Dunwoody residents to find out what sort of dangers lie outside their front door. "It's not as safe today," said one resident. "You have to lock your doors, and knowing where these things happen is important." 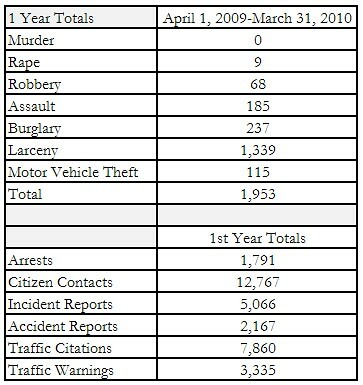 The Dunwoody police have started uploading their crime statistics to the Web site daily, and you don't even need to be near your computer to stay up to date. "You can set it on your iPhone," said Sgt. Mike Carlson. "So with just a touch of a button you can know what's going on at your location." 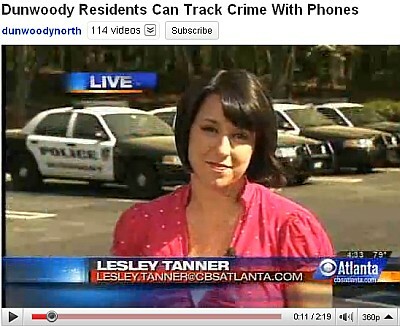 If once-daily reports aren't enough, there are even more details on the Dunwoody police Web site. The new police-to-citizen portal offers access to reports right from the patrol cars. "Any time the computer is uploaded during the day, it will show you the work officers are conducting out on the road," said Carlson. Everything from speeding tickets to break-ins are posted on the site, including when, where and who was involved. Some residents said it offered too much information. "I think they can name the street, but they should leave the victim's name out of it," said resident Maury Gerson. Carlson said the information loaded on the Web site is public record, and was already available in person. "We're not putting any information out there that is not readily accessible," said Carlson. But Gerson said putting it on the Web makes access too easy. "That takes effort to go down to the police station and get that information," said Gerson. "This is out to the general public." Carlson said all reports are approved before they are uploaded to make sure children and victims of sexual assaults are not identified. THE DUNWOODY & CHAMBLEE PARENTS COUNCIL BRING PARENTS, SCHOOL BOARD MEMBERS, SCHOOL OFFICIALS, AND LEGISLATORS TOGETHER TO DISCUSS TOPICS THAT AFFECT PUBLIC SCHOOLS IN OUR COMMUNITY. What's Going On in Our Neighborhoods? Social Media to Improve Law Enforcement and Engage Citizens. 2. Multi-family code compliance and sweeps discussion. a. Multi-Family Code Compliance and Inspections Policy. b. First Read: Ordinance to amend Chapter 7, Building Code, to add inspections of multifamily rental housing. c. First Read: Ordinance to amend Chapter 15, Business Occupation Tax, Licenses and Regulation, by adding a requirement for multifamily rental housing occupation tax certificate applicants. 3. Stream buffer exceptions discussion. 4. Discussion of Master Plan contract award - Dunwoody Village and Georgetown. 5. Enhanced 9-1-1 service provision update. 7. Public Works Quarterly Report. 8. Discussion of Tilly Mill Road restriping options. 9. Community Incentives for Green Building Policy. 10. No Net Loss of Trees Policy. 11. LED Traffic Signals Policy. 13. Initiation of text amendment, Office-Institution Zoning District. 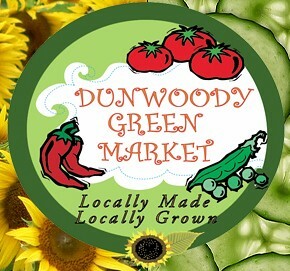 Dunwoody Green Market is in it's 5th year as a Producer only Market which means that only vendors who make or grow what they sell can participate. The vendors offer a wide range of seasonal vegetables, fruits (including hard to find heirloom varieties), locally produced honey, and free-range eggs (chicken and duck). Beef, pork, and poultry, including heritage breeds, are sold on a preorder basis, however, cured meats (bacon, sausages) are available at the market each week. Various artisans, bakers and unique food purveyors complete the market. All of the produce vendors grow using organic methods and most are Certified Naturally Grown or Organic. Jeff the Wood Guy, , Marsha!Marsha!Marsha!